The boyfriend of 17-year-old Angelique Morris, who was fatally shot Saturday July 8, 2017 in unincorporated Des Plaines has been charged with involuntary manslaughter following her accidental death, according to police. The 17-year-old boy’s is not being released because he is being charged as a juvenile. Angelique Morris was shot about 1:00 a.m. Saturday in a basement apartment unit in an apartment building in the block of 9900 Linda Lane. Detectives say Angelique’s boyfriend was handling a gun in his apartment when the firearm discharged and a bullet struck her. She suffered a gunshot wound to the head. 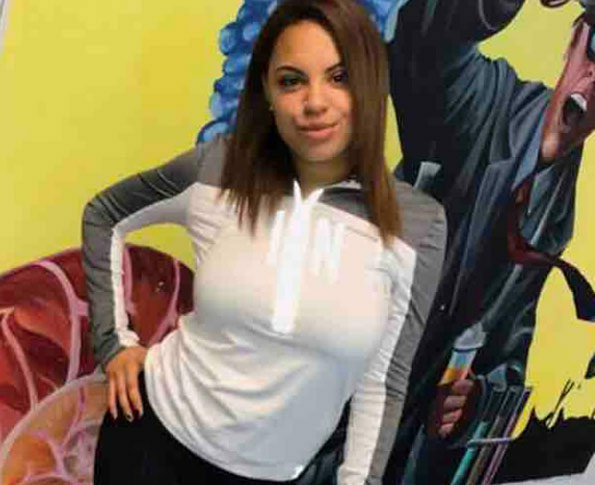 Angelique Morris was transported to Level I Trauma Center Advocate Lutheran General Hospital in Park Ridge, where she died about 4:00 a.m. from the gunshot wound, according to the Cook County medical examiner’s office. The medical examiner’s office ruled the death a homicide on Sunday, July 9, 2017. Angelique Morris was a senior at Glenbrook South High School in Glenview. She lived in unincorporated Glenview. Angie Morris shooting victim unincorporated Des Plaines (gofundme).